So you’re cruising down the freeway and all the sudden your motorcycle starts to lose power. It’s still chugging chugging chugging along until finally you are forced to pull over and the motorcycle dies. We have ALL been there before, and the lucky ones of us know that it’s a simple problem of flipping the fuel tank petcock, but for the new rider it can be very confusing and intimidating. 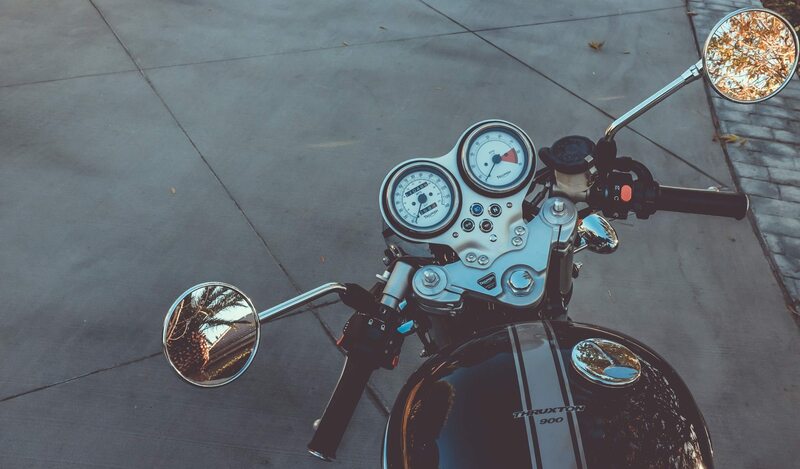 Since most motorcycles do not have fuel gauges the kind engineers that designed our bikes decided to include a reserve fuel tank inside the main fuel tank. That way you don’t have to keep opening your gas tank every time you go out to see how much fuel you have left. Basically the reserve switch for most bikes I have been on will be right below the gas tank/seat area either on the right or left hand side. It will be a little flip that usually says “On, Off, and Reserve” or something like that. This little switch is called the Fuel Petcock, the “on” position is what it should be set to when you are regularly using your motorcycle. If your motorcycle dies on you like in the above situation the first thing you should do is flip it to the Reserve position and see if that fixes things, which it will if its a fuel problem. The Off position should only be used when the motorcycle is going to be sitting unused for a very long time, like in the winter for storage. New riders should keep in mind that the Reserve tank only carries about a gallon of gas (maybe more or less depending on the model of bike), so it should get you 20-30 miles, but any more then that and you are definitely pushing your luck! A good test to do is to strap a gas can to the back of your motorcycle or have someone follow you with a gas can in their car while you drive your motorcycle on reserve until it finally dies. That way you will know exactly how many miles you can travel before your out of luck.